A blend of upbeat styles present themselves in this neighbor-friendly community. Overlooking Williams Creek in a naturally beautiful setting with a mixture of elegant housing styles offering low maintenance living. 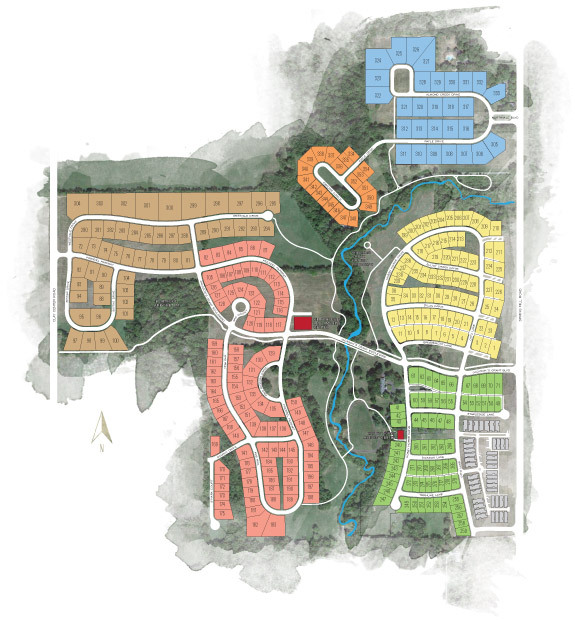 Large family size lots provide exciting opportunities for those wanting to design their custom home. Finely detailed homes uniquely attached by private courtyards and designed for those desiring maintenance free living in an exclusive but yet convenient setting. An exclusive wooded enclave offering gorgeous homes, brick or stone driveways, wrought iron gates: a Euro-Village feel.